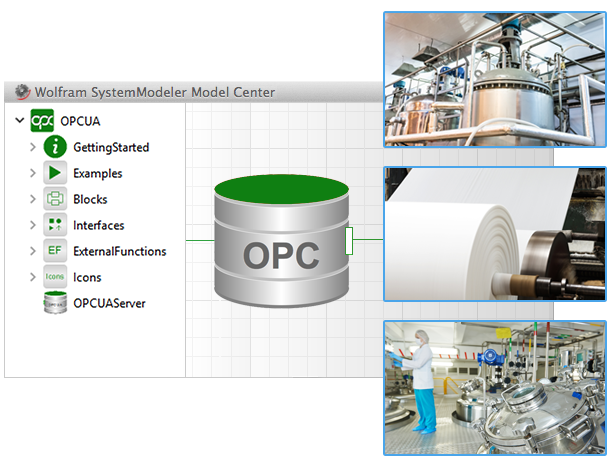 OPCUA is a library that allows you to create Modelica models that connect to OPC servers in the real world. What Can You Do with OPCUA? Connect to any computer, device, or chip running any operating system that can run an OPC UA server. OPCUA is based on the OPC UA specification. It is the successor to the old OPC Standard, which uses Microsoft Windows COM/DCOM interface. OPC UA has all the features of the OPC Classic specification, with many additional features, such as better security, multi-threaded support, multi-platform support, and scalability. 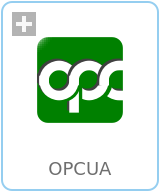 The OPCUA Modelica library uses the external, open source client library open62541 (original source can be found here) to establish communication with the OPC UA server. In addition, a number of external C functions are being called by the Modelica models to set up the communication between the Modelica world and the open62541 code. OPCUA supports the OPC UA specification for reading and writing data to scalar nodes, as well as connecting to servers. Supported OPC UA types include Real, Integer, and Boolean. Other OPC-specific types, such as Date and Guid, are currently not supported. For license conditions, see here.